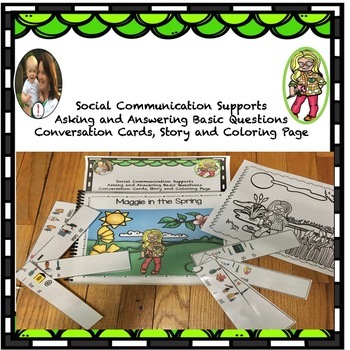 Social Communication Visual Supports, Basic Questions, Story and Conversation Cards with a SPRING THEME This offers some visual supports for social communication We want children to learn basic information and to be able to answer questions posed to them. However doing this as a drill is not natural and unfortunately, there are not many situations that occur during the day that allows us to practice this. This story is set in the spring so it has some questions that are particular to that season. 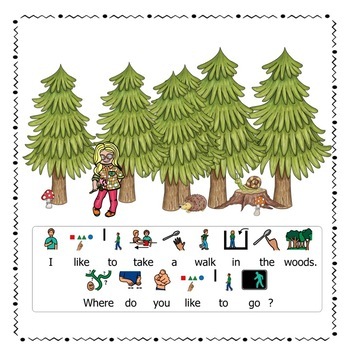 Maggie in the Spring is a rebus read that asks questions and gives the student an answer stem to make a response. –What is your name ? –Where do you live ? –How old are you ? –Do you have a brother or sister ? –What do you like to do in the spring ? –Where do you like to go? –What do you like to drink? –What is your favorite season ? 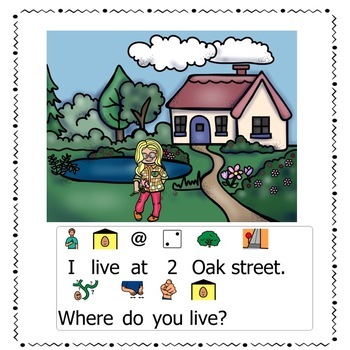 I have added conversation cards to this so that you are able to take the questions and practice them. I put cards that I am working on together with a binder clip so that the students can flip through the questions and answers. As they are written as a rebus read those students that have difficulty reading are able to use them. For additional fun, I have added a coloring page. Beginner readers as they can use the pictures to aid their concept of word. 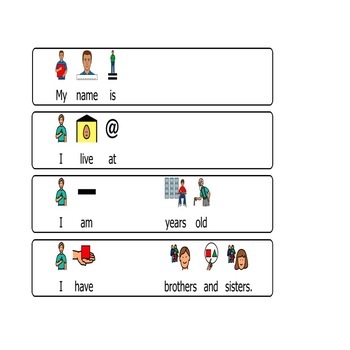 Fluency cases: I found that using rebus read with my young students assist them in learning the rhythm or pacing of speech. It is especially helpful for students on the autism spectrum as it is very visual.